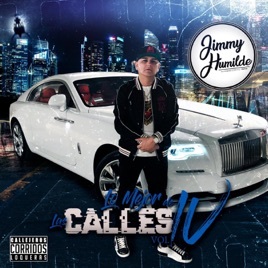 California-based impresario Jimmy Humilde delivers another dose of percussion and brass with attitude on the fourth installment of his Lo Mejor De Las Calles compilation series, with songs that explore life from urban Los Angeles to rural Mexico. The songs are flashy, whether they’re about putting in hard work to survive or celebrating the cars and luxury that come from that perseverance. Tijuana quintet Grupo Codiciado’s “El Puma” considers street smarts in the face of intimidation, while Sinaloan youngsters 3 De La 6’s “Siempre al Tiro” intimately explores what it means to come from humble beginnings. It’s a timely snapshot of the multidimensional, cross-border experience that’s central to norteño music.